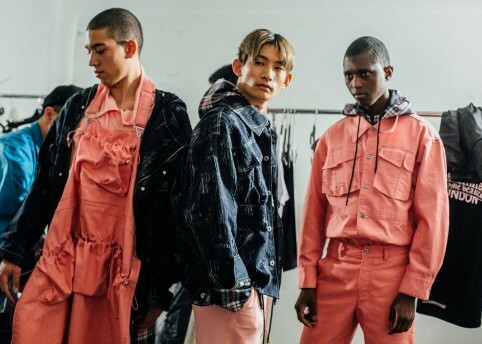 The much buzzed-about menswear designer Martine Rose took a break from consulting duties at Balenciaga to present her eponymous’ label’s latest collection at LFWM. 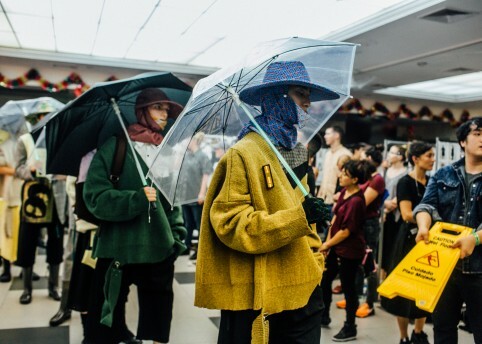 Rose’s ongoing themes have been subcultural movements of youth, informing her take on streetwear and masculinity. 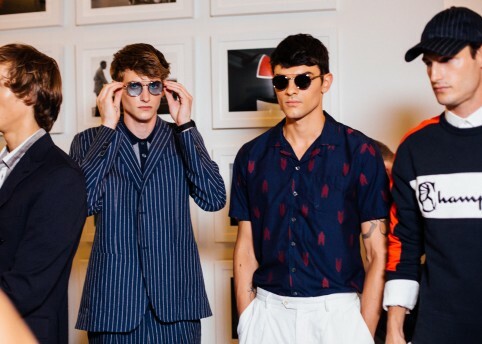 Originally launching in 2007 as a shirting brand, the label was for a while on and off (showing sporadically and mostly away from fashion week) until its relaunch during fashion week in January. 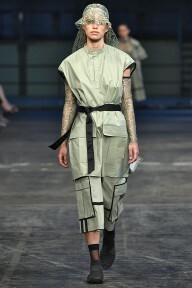 The designer chose the North London borough of Tottenham (the label’s home base) for her show location, quite a bit of a trek from the central and Shoreditch locations of the rest of the schedule. A bold move, but invigorating for those used to attending tens of shows in the same venues. Stronghold Climbing Centre offered a refreshing take on a show space, with moulded climbing walls colourful grips as a backdrop to the show with large gym mats as seats for attendees. 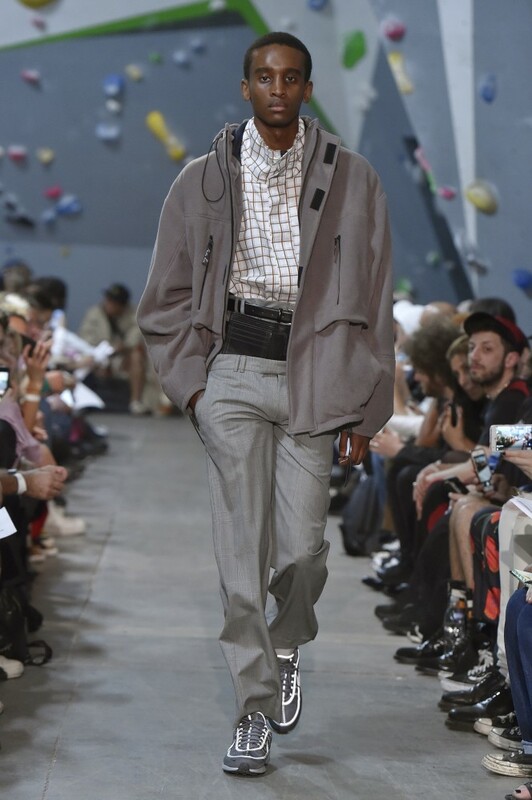 SS18 looked to the ‘outdoor types’ with Bicycle Couriers, Golfers, Climbers and Ramblers just some of the characters that inspired the new line. 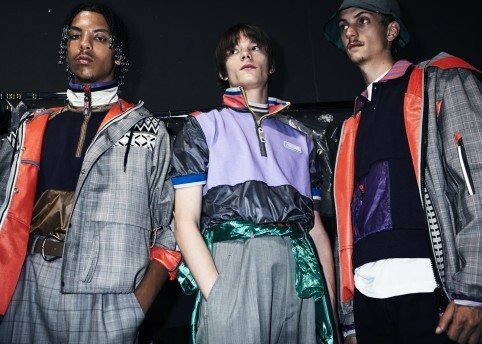 Further influence came from Toronto’s underground electronic music scene and the street portraits of photographer Trevor Hughes, think oversized sportswear paired with cycling shorts. 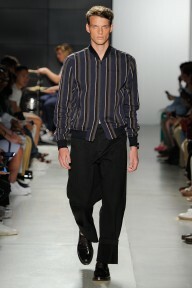 Looks had a slight 80s twang to them with flowing suits and graphic sports branding echoing the decade’s fashions. The ‘ROSE’ t shirt and wide legged jeans (a Martine Rose signature – no skinny jeans in sight!) in white was one of the stronger looks, 80s but with a modern feel. 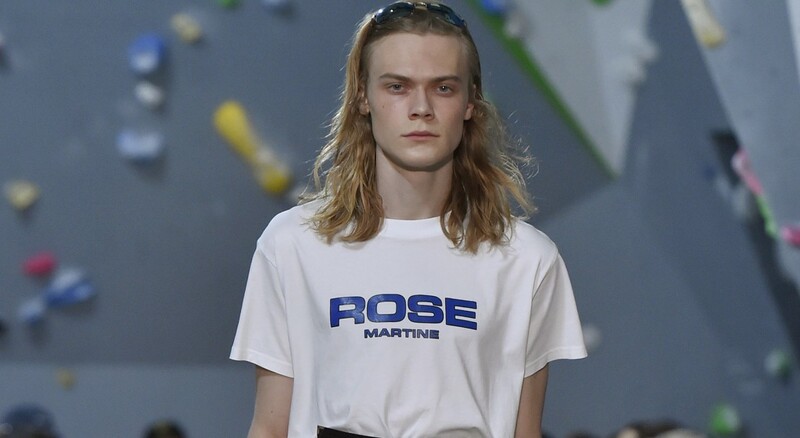 Martine Rose is back, and she’s going from strength to strength.